Legislation to prevent tent cities and homeless encampments is increasingly popular in jurisdictions throughout the country. But what happens when people are jailed and fined for having no place to sleep? On an overcast autumn morning, 21-year-old Joey Fiala sits on a sprawl of sleeping bags and blankets, watching Colorado’s prolonged summer yield to winter. 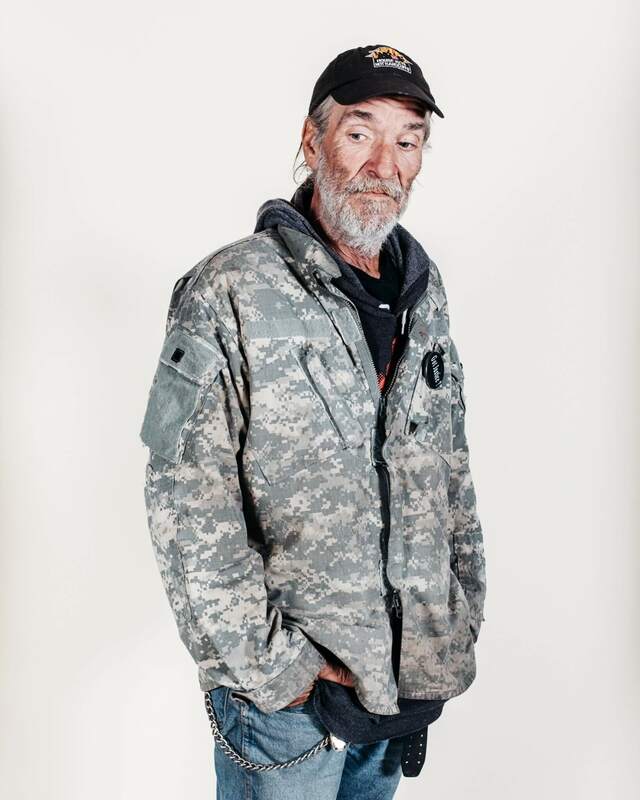 Fiala, originally from Kansas City, Missouri, is among a group of homeless people who gather most days in Jefferson Park on the north end of the Old Town Square section in Fort Collins. Here, a grassy lot sidles up to a busy railroad track and serves as a sort of daytime rest stop for folks without shelter. The men and women socialize and sneak catnaps in between hustling for cash and shuttling around the community to make use of its spread-out resources. When night falls, however, residents without shelter rush to get out of sight. Groups disperse and individuals head off in pairs or on their own. Fort Collins, a college town at the base of the Rocky Mountain foothills, prohibits practices such as loitering, “misuse of public waters,” and “camping or pitching a tent without permission.” Being homeless here necessitates invisibility, and consequently, isolation. Things that offer safety and even comfort at night—tents or multi-person encampments—make hiding difficult, and often land homeless people in jail. 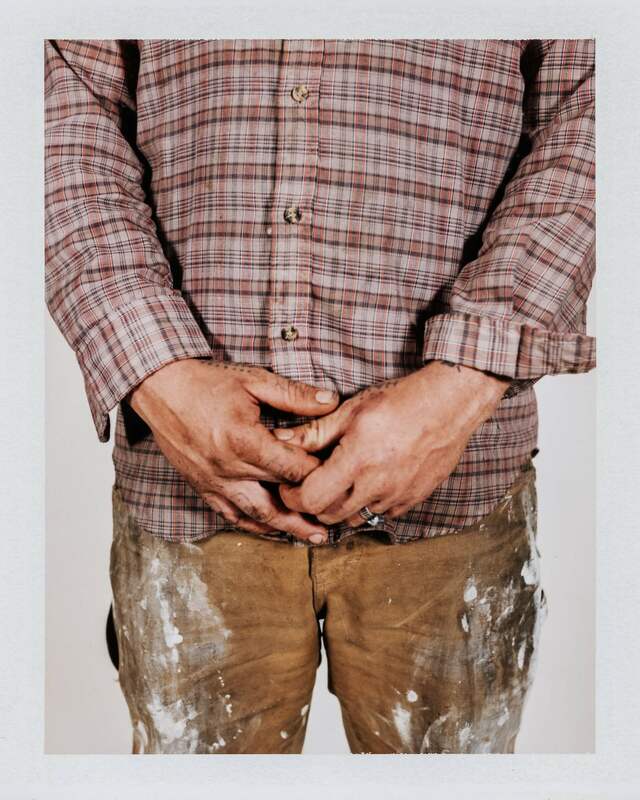 “I’ve been to jail twice for camping,” Fiala says between swigs of coffee and bites of a doughnut, pulling his jacket tight around his small frame. “I’ve been in for camping and for trespassing,” chimes in Steve, who doesn’t give his last name. A dad with a perfect goatee and cheeks rosy from the incoming chill, Steve hesitates to offer more. But others in the group nod in agreement. 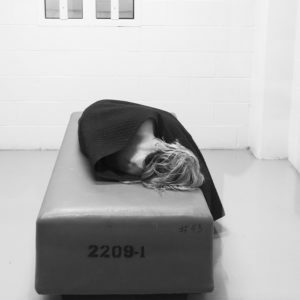 According to the 2015 report “No Right to Rest: Criminalizing Homeless in Colorado,” more than half of the state’s homeless population has been in jail for minor infractions. He arrived in Fort Collins in 2010, initially finding stability in a relationship. When that “blew up” a year ago, he found himself back on the streets. Steve, eyeing the joint, chimes in once more. “You better be careful with that. We may be in Colorado, but our house doesn’t have any walls,” he says, referring to the state’s legalization of marijuana use in private, but not in public spaces. As with open alcohol containers and intoxication, smoking cannabis is permitted only for those with the means to do so behind some sort of closed door. Individuals who lack shelter automatically miss out on key benefits afforded by seclusion. The very invisibility they seek when scattering at night is almost impossible to come by without the security of a safe and private place to rest. 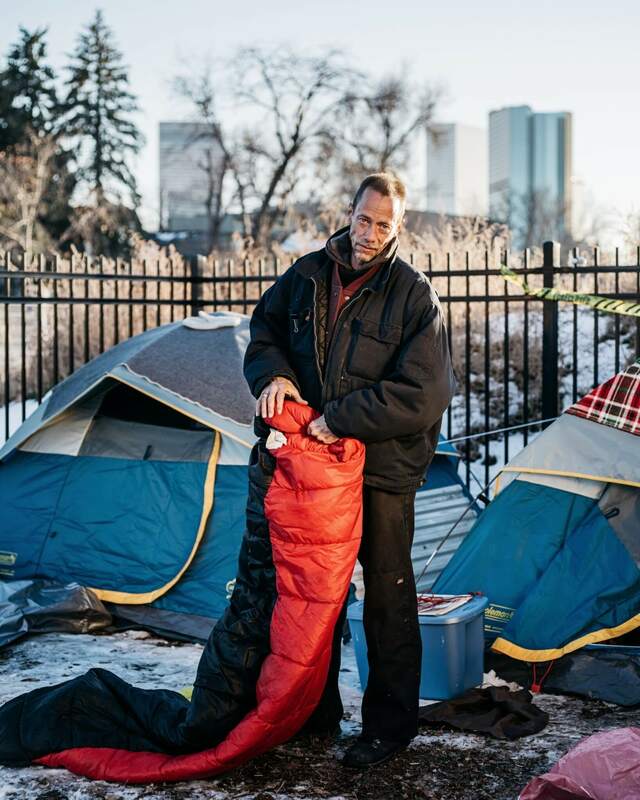 The U.S. Department of Housing and Urban Development estimated that nearly 10,000 Coloradans were homeless on a given night in January 2015. Advocates note that these point-in-time surveys—volunteers attempt to count individuals in shelters and on the streets on a single night—tend to result in drastic underestimates. The methods make it easy to “miss” those who are homeless short term, temporarily institutionalized, doubled-up with friends, not engaged with resources, or effectively hidden from authorities. However, the numbers do tell us that, while national homelessness has declined since 2013, in Colorado it has remained steady, even seeing a slight increase. More specifically, Denver’s point-in-time data show a consistent upward trend in metro-area homelessness since 2011, from 3,007 to 3,978. According to the “No Right to Rest” report, “shelter beds are available for only about 10%” of Denver’s homeless population. Nonetheless, Denver and other jurisdictions across the state continue to propose bills and implement policies that make it more difficult to survive on the streets. Denver has not only banned camping but also the use of a variety of items for shelter, including tents, cardboard, and newspapers. In the midst of this citywide dearth of affordable housing, DHOL’s tiny homes were designed to provide much-needed shelter. 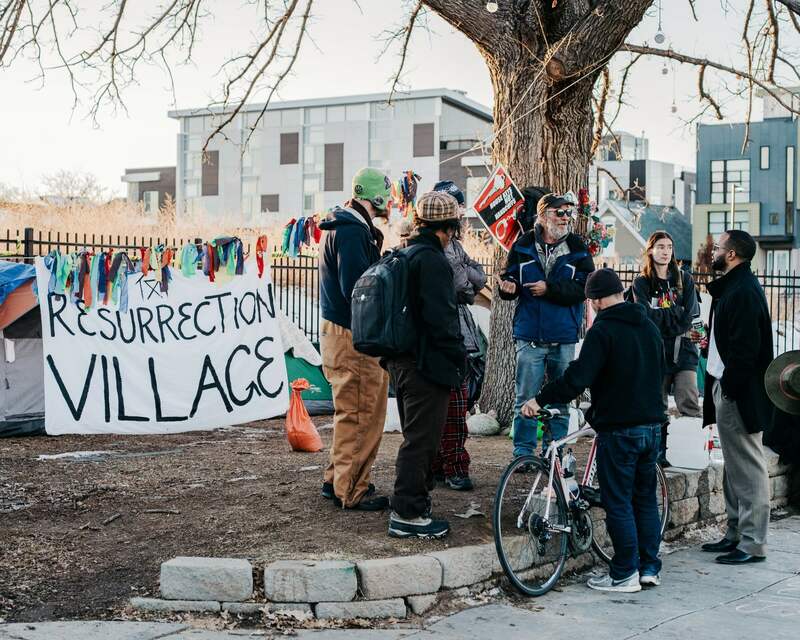 But when 70 police officers, including a SWAT team, descended, Resurrection Village quickly became a protest site. Police confiscated the tiny homes and as people scattered, 10 were arrested, including DHOL volunteer Ray Lyall. Originally from California, Lyall moved to Colorado in the 1980s to be closer to family and get a fresh start. Now 57, he has been homeless since a botched construction deal two years ago left him unable to pay rent. Lyall finds the city’s shelters too loud, too dirty, and too full of drama to rest; he prefers to sleep outside. ccording to the National Law Center on Homelessness & Poverty, three-quarters of homeless people in the United States don’t know of a safe and legal place to sleep. With few, often inadequate, beds to meet the growing need, homeless residents by default carry the double burden of being poor and being criminal. In places like Fort Collins, where a 2015 point-in-time survey revealed a 4 percent rise in homelessness, if they can’t stay out of sight, they will be ticketed. Since most are unable to afford the sanctions, tickets equal jail time. “The thing is, they’ll always take you [to jail] because you can’t pay the fines,” says Joey Fiala. 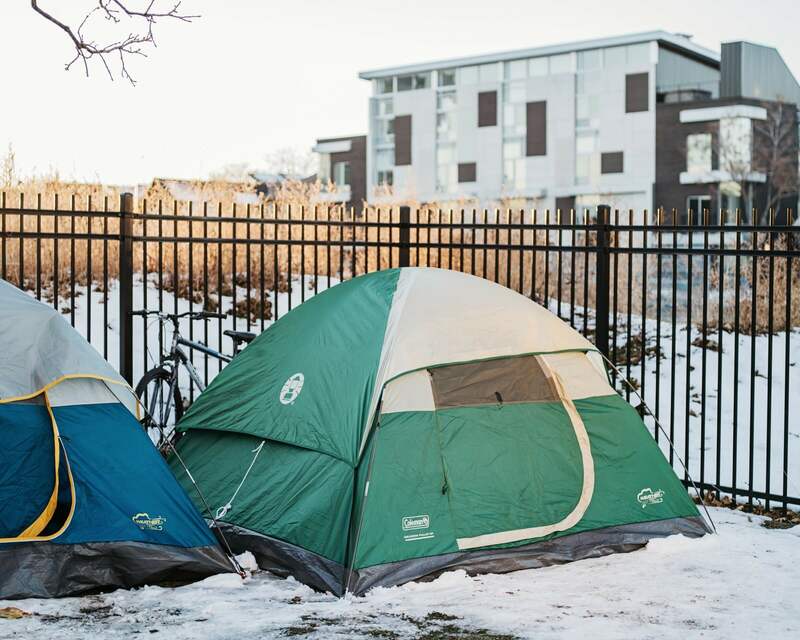 And though Fort Collins has taken steps to reduce the consequences of the legislation that criminalizes homelessness, some worry these approaches gloss over the real problem. Two days before Thanksgiving, Michael “Miguel” Wheeler serves dinner at Jefferson Park, as he has nearly every Tuesday since getting off the streets himself. The lawn bustles all afternoon with chatter and laughter as homeless folks fill their bellies, sip hot coffee, and stock up on brand new socks. But once darkness descends, people ready to head their separate ways for the night. 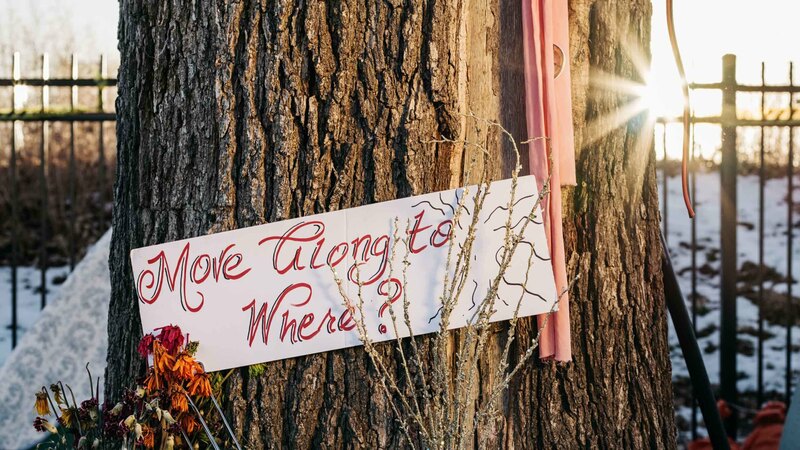 A young couple turns north, starting the several-mile march beyond city limits, where it’s legal to pitch a tent if you avoid private property. Old-timers who’ve been living outside for decades attach loaded-down carts to rusty bicycles—houses on wheels. Others seem to disappear into the fading light of dusk. Invisible. Stacey McKenna is a freelance journalist in northern Colorado. She covers travel, adventure, and social justice. Visit her website or follow her @mckenna_stacey. Benjamin Rasmussen is a freelance photographer based in Denver, Colorado. 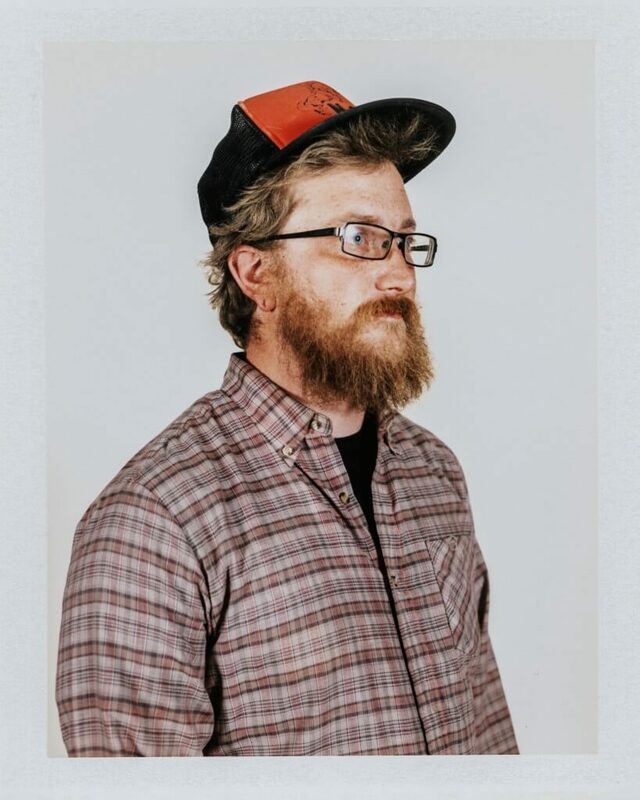 He spent his childhood with an indigenous group on an island in the southern Philippines, his university years with evangelicals in a small town in northern Arkansas, and a year with the descendants of Vikings in the Faroe Islands, a nation of 45,000 residents in the middle of the North Atlantic.